UNDER CONSTRUCTION. 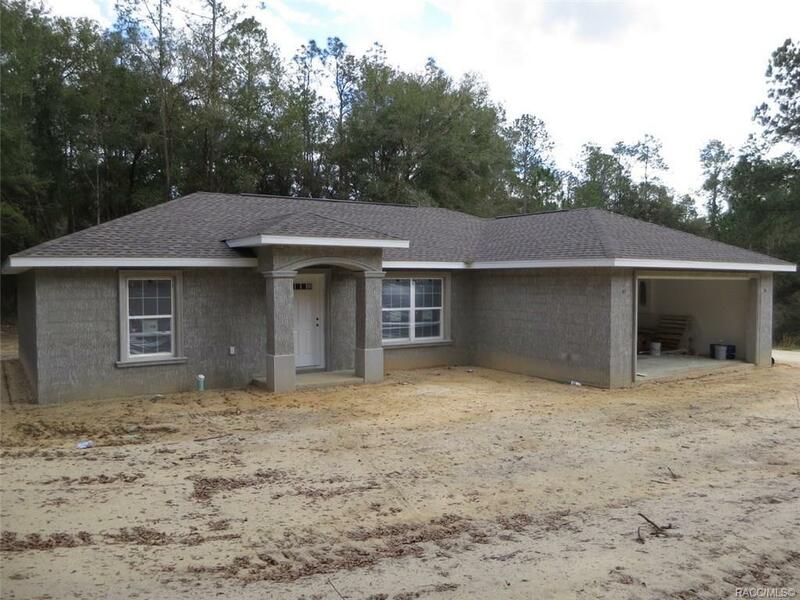 Don't miss your chance to own this brand new "Built by Mitch Underwoodâ home in Citrus Springs!! This 3 Bedroom, 2 Bathroom Islamorada Model features Cement Block Construction, 30 Year Architectural Roof, Cathedral Ceiling in Living Room, Modern Kitchen, Custom Cabinets, Stainless Steel Appliances, Carpet in Bedrooms, Tub & Shower Enclosures, Granite Countertops, and Modern Fixtures!! Why deal with the hassles of a pre-owned home when you can buy new at this price? Don't miss this great opportunity! Directions: Hwy 41/N. Florida Ave To East On W. Jazz Way. Left On N. Spikes Way. Right On N. Pettit Way. House On Right.